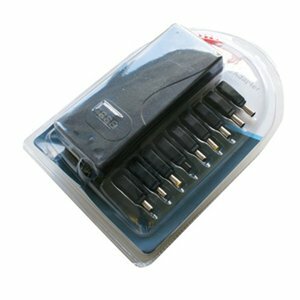 This easy to use Intelligent Laptop AC adapter automatically selects the correct output voltage for a wide range of laptops when you add the appropriate connector tip. Output voltage is verified on the LED screen and the in-built surge protection circuitry gives ultimate protection to your laptop. The PowerStar Laptop Pro Universal Laptop Adapter works with worldwide inputs of 100 to 240 Vac making this laptop adapter suitable for use anywhere in the world and provides output voltages of 15-24Vdc and a range of connector options for the majority of Laptops.